Dollar Car Rental Guide - Book with us & get discounts! Everything you need to know about Dollar car rental United States. Dollar Rent A Car was founded in 1965 in Los Angeles. Today, the Rental Car company has more then 260 rental car locations throughout the United States. Dollar also has more than 400 car rental locations in 26 other countries including Australia, Canada, the Caribbean and Latin America. Dollar Rent A Car is built on the idea of exceptional customer service. Their attention to the customer and their fleet of fine quality Chrysler rental cars and car hire products, is complemented by business travel and vacation planning services available at most Rental Car locations. 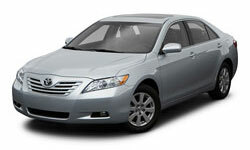 Their special rental cars offers and low everyday rates help to your travel plans within your budget. Their Dollar EXPRESS car rental program will can get you in and on to your destination in a flash. Let VroomVroomVroom help you find the car for you!